Interpol has dropped the arrest warrant against Egyptian scholar Yousef al-Qaradawi, a sharp critic of President AbdelFattah al-Sisi and a persona non grata in most Gulf countries. A source from the Egyptian’s office at Doha-based International Union of Muslim Scholars, told Turkish state-run news agency Anadolu that Qaradawi received an official notification from the Interpol informing him that his name has been lifted from the list. 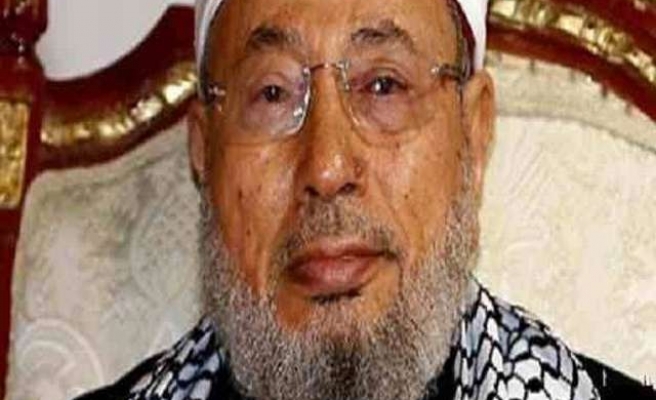 Qaradawi is wanted by Egypt and Iraq. President al-Sisi’s regime leveled charges against the scholar in connection with an alleged range of crimes including murder and theft — after Egypt’s 2013 military coup, Anadolu says. The Egyptian Muslim Brotherhood member has been targeted along with several dozens of the others, including first democratically elected Egyptian President Mohamed Morsi, who is currently in prison after he was toppled by al-Sisi. Qaradawi has also been placed on wanted list by Saudi Arabia, United Arab Emirates (UAE), Bahrain and Egypt since last year in June. The list includes several individuals and organizations believed close to Qatar, accused by the four countries of supporting terrorism.